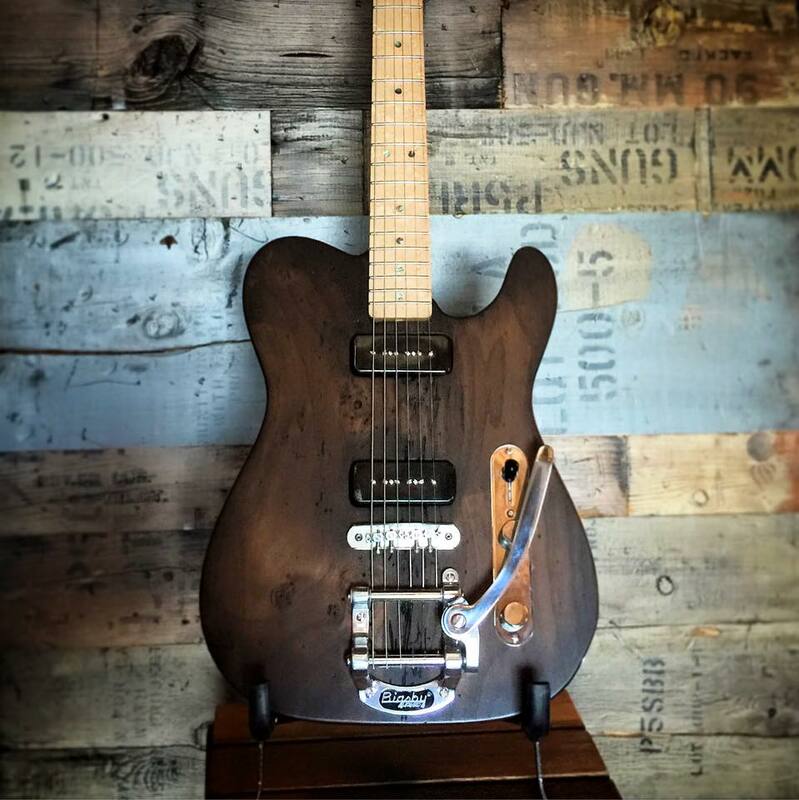 Here’s a beautiful reclaimed wormy poplar guitar body Thomas built for a customer. This wormy poplar is over 250+ years old. Sounds excellent!